Hi! I’m Alex. I’ll be your weekend man this weekend. Please be nice to me. 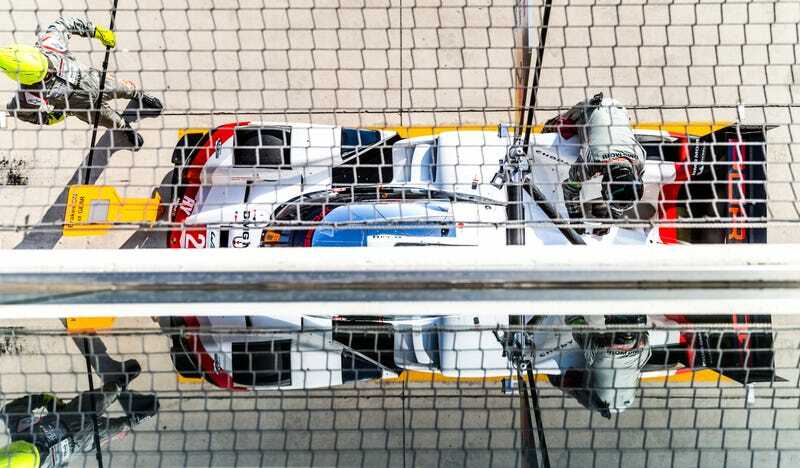 You have every reason to be nice because there’s plenty of great racing on tap this weekend, including Formula One in Singapore and the World Endurance Championship in Austin, Texas. Jalopnik is onsite at the latter and we’ll be bringing you dispatches throughout the day. This weekend we also have IndyCar, and a whole slew of NASCAR races happening. Let us know if we missed anything and soak in the last few precious days of summer. Motul Superbike Class/Bazzazz Superstock 1000 – Race 2 — 4:30 p.m.